In this post I am passing along a message to Canadian readers from Sumeru Press publisher Karma Yonten Gyatso. This is an important message about participating in a Canadian Buddhism survey. The survey itself can be accessed here under the highlighted title NEW Canadian Buddhism Interactive Survey Package. The Sumeru Press is currently updating our directory of Canadian Buddhist organizations for www.canadianbuddhism.info and we are asking for your participation. More than 15,000 people a year turn to this website and its sister news site, www.sumeru-books.com, for information about where to practice and learn about Buddhism in Canada. We want to make sure that the information they find is as accurate and current as possible. To this end, we have embarked on a new project in association with the Department for the Study of Religion, at the University of Toronto – to create Canada’s first printed guide to Canadian Buddhist organizations, including not just their contact information such as address, phone number and website, but also information about teachers, programs and related activities. Our goal is to publish in the summer of 2012. Accompanying this letter, you will find a survey form to complete and return if you would like expanded information about your organization to be included in the directory. It is entirely voluntary. You will notice that the survey has two parts. The first part contains questions about your organization that are important for potential members of, and visitors to, your group. In the second part, we are gathering sociological information about the state of Buddhist organizational development in Canada. No study like this has ever been done before. The data we hope to collect will be extremely valuable to benchmark your activities and place them within the larger context of Sangha in Canada. The second part of the survey is also entirely voluntary, and all of the data we collect will be presented in a way that does not identify any individual organization specifically. In other words, your responses to part two of the survey will remain entirely anonymous. The survey is presented in an interactive digital document – you can type your answers right into the form and save it. If you would prefer a printed version of the survey, let us know and we would be happy to send you one. There are more than 500 Canadian Buddhist organizations to be included in this project. In order to keep our project on track for publication in 2012, your prompt response would be greatly appreciated. We realize this is not a simple five-minute activity, and will require a bit more commitment on your part, but we hope you will share our vision of the importance of this work and will give it the attention it needs. However, keep in mind that whatever you do complete and send to us, even if you don’t answer every question, is in itself a valuable contribution to building strong Buddhist communities across the country. This research has been formally approved by the Department for the Study of Religion and the Office of Research Ethics at the University of Toronto. If you have any questions or concerns, you may contact me, or Dr. Frances Garrett, Associate Chair, Department for the Study of Religion, University of Toronto (frances.garrett@utoronto.ca or 416-978-1020). Thank you for your participation, and for all you do each day to make Canada a better place. Please send us back your completed survey via e-mail to buddhismsurvey@sumeru-books.com. If you prefer, you can print it out, fill it out and mail it to us via regular post. If you have received duplicate copies of the survey because your centre maintains multiple e-mail addresses, we apologize. If you are a Buddhist scholar in Canada, we’ve also sent you a copy of the survey because we thought you’d be interested. If you are not a Canadian Sangha Leader, please pass this information along to any Canadian sangha leaders you may know. 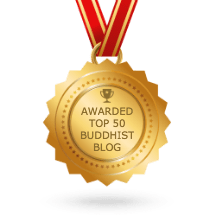 Buddhism in Canada is an under studied area and Karma Yonten Gyatso, through what was the Canadian Buddhism web site and now Sumeru, has done remarkable work. This survey will provide valuable information for anyone interested in Buddhism in Canada.